As Brexit continues to dominate parliamentary matters, it’s worth noting the continual stream of EU exit regulations rolling out of Defra at the moment. These include various amendments to waste policy, and also to international shipments of waste. The Waste (Miscellaneous Amendments) (EU Exit) (No. 2) Regulations 2019 amends 12 domestic waste regulations, which implement different European directives related to waste management, to ensure that legislative regimes can continue to operate effectively after the UK leaves the EU. These directives mainly centre around producer responsibility – packaging, WEEE, batteries, end-of-life vehicles, hazardous waste, and so on. In an explanatory memorandum to the Waste Regulations, Defra points out that no environmental standards are being removed or amended. “This instrument only amends deficiencies arising from the UK’s withdrawal from the EU,” it states. Rather, it is the text of domestic legislation that is being modified, such as erasing references to EU directives and associated EU terms. The International Waste Shipments (Amendment) (EU Exit) Regulations 2018, meanwhile, amends various shipment of waste regulations and related EU legislation, setting out the UK’s future obligations as a Party to the Basel Convention/OECD member while providing a regulatory framework for the control of waste shipments between the UK and the rest of the world. 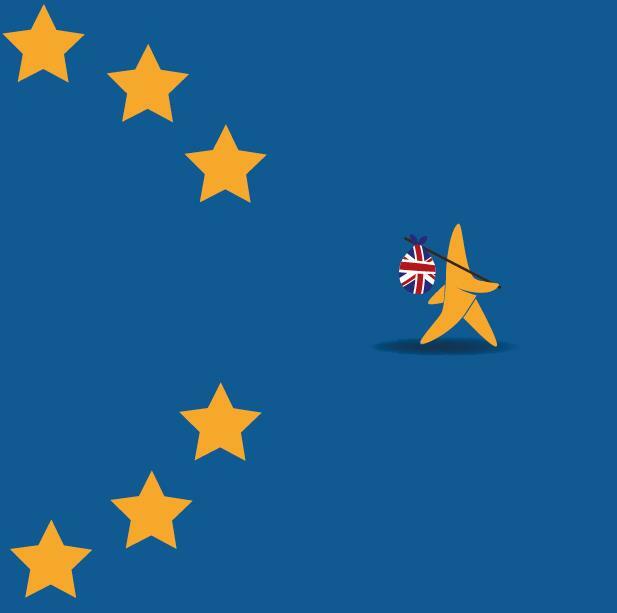 Here revisions are necessary to ensure that UK and EU rules governing future shipments between both territories are aligned, while reflecting the fact that that the EU will treat the UK as a third country post-Brexit. References to various EU institutions and administrative processes will be removed where necessary, and the requirement for government to report annually to the European Commission amended so that it reports to the Basel Secretariat only. Before these draft statutory instruments are laid in Parliament, they go through a sifting process by two parliamentary committees in the House of Commons and the House of Lords. It was interesting to note that during this process, the Lords sifting committee recommended that the International Waste Shipments Regulations be debated in Parliament, suggesting perhaps that it came in for a higher degree of scrutiny than the Waste Regulations. While the reasons behind this remain unclear (at least to me), one possible explanation might be the prospect of a no-deal Brexit. The Government is publishing additional guidance to accompany the International Waste Shipments Regulations – a technical notice to cover a no-deal scenario. And, of course, with a no-deal Brexit looking ever more likely at the time of writing this column, this could have real ramifications for waste exports. According to reports, Defra held a meeting with waste exporters last month to discuss planning for a no-deal Brexit, a scenario that was considered unlikely when the department first published a briefing note on the matter last October. With interruptions and delays at ports a very real prospect under no-deal, what strategy – if any – is in place for exporters should this happen? Well, diverting material to landfill appears to be the default option if temporary storage can’t be found. It’s probably a last resort, and it does come with certain risks. There may be capacity issues and increased waste crime could result, especially if landfilling becomes an additional cost burden for exporters. And I doubt the Government will offer to suspend landfill tax in such cases. Defra’s briefing note on maintaining continuity of waste shipments under no-deal was last updated just before Christmas, and I suspect it will be further revised in the coming weeks as more discussion and consultation is undertaken. What is striking about the guidance is it doesn’t outline any real strategy for dealing with material that can’t be exported due to such problems. There appears to be no Plan B on the table, or at least, nothing published in the public domain. That’s fine if everything works smoothly come the end of March, but most anticipate there will be plenty of bottlenecks if not solid congestion when it comes to port logistics and customs bureaucracy. Of course, Brexit being Brexit, nothing is set in stone yet – and by the time this column is published, Westminster may well have taken a no-deal option off the table. To quote the mathematician John Allen Paulos, “uncertainty is the only certainty there is, and knowing how to live with insecurity is the only security”. With the Brexit clock ticking, it might be prudent for those in the industry, exporters or not, to start putting in place preparations to cover all scenarios, rather than relying on some last-minute government guidance.